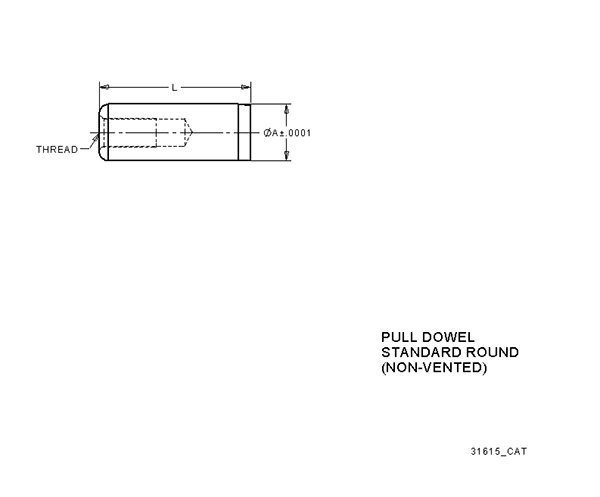 Internally threaded hole allows removal of pull dowels with a standard screw. Used in applications featuring a through hole. Constructed of heat treated alloy steel.